CE and ATEX Certified, GMP and CGMP Compliant Shelf type Static Vacuum Dryer. Validation Documents like OP, IQ, PQ & DQ provided. We are one of the largest Manufacturer and Exporter of Shelf type Vacuum Tray Dryer , CGMP Shelf type Vacuum Tray Dryer. Shelf Type Vacuum Tray Dryer are made in various Tray Capacity sizes like 6, 12, 36, 48, 96 Trays, Customization can also be done. 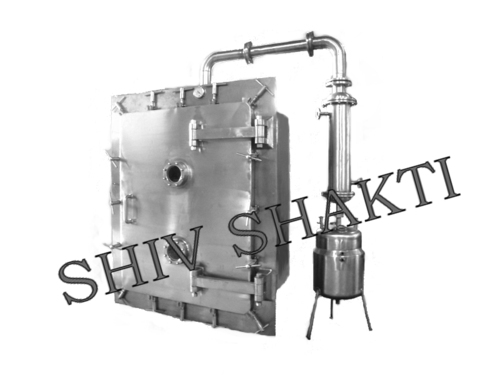 Our Well engineered Shelf type Vacuum Tray Dryers are supplied worldwide with all document required for GMP, USFDA approval. Packaging Details Export worthy packing.